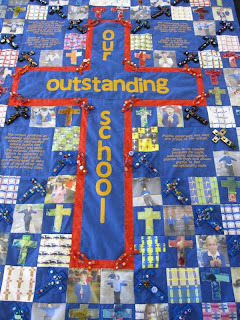 Nottingham e-Learning Community: Celebrate all that is great in your school with a wall hanging! Celebrate all that is great in your school with a wall hanging! Langley Mill Infant and Nursery School have done just that. A consultant worked in the school for a special textiles day when pupils and their teachers worked on a variety of techniques to create squares for this wall hanging. 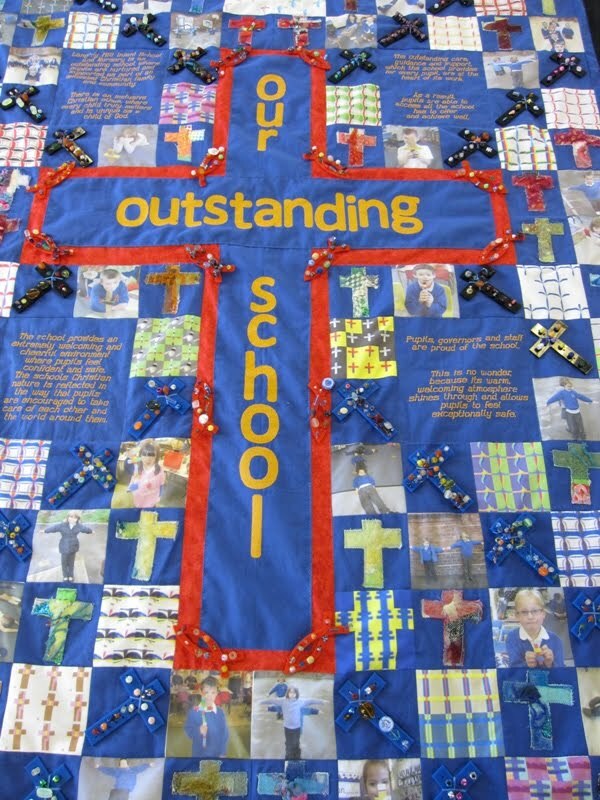 A Church of England School, this banner proudly displays symbols of Christian faith. The techniques used included sewing with wire on laser cut templates, digital photography and creating designs in Grid Magic which were then sublimated onto fabric.